For those who want an acquaintance with Atzmon, you could do worse than consult my (now out of date) Guide to the Sayings of Gilad Atzmon. Atzmon it should be explained was a famous jazz musician, having won the BBC jazz record of the year in 2003 with ‘Exile’. It was, as lies go, only a little lie. 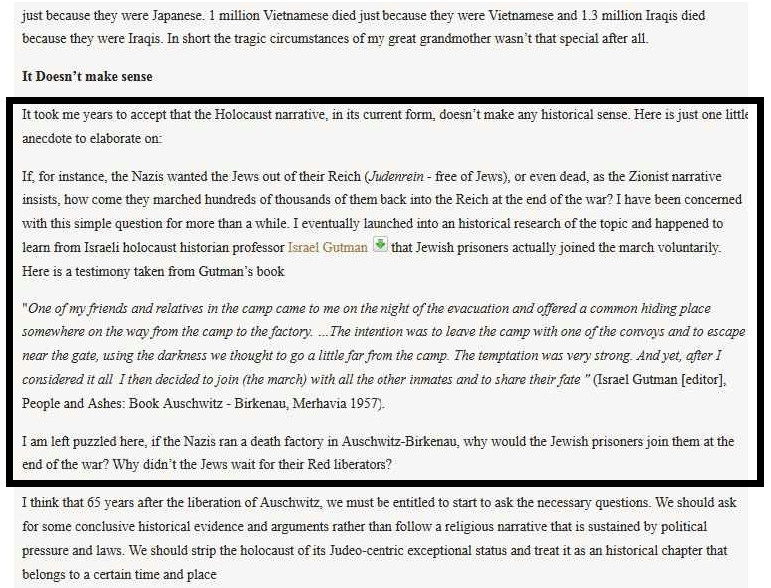 I asserted, on Atzmon’s Facebook page, that he was a Holocaust denier, citing his article Truth, History and Integrity. Quick as a flash Atzmon came back. This was, yet one more false assertion, by me, his Jewish persecutor. Atzmon referred me to a statement he made at the Babylon, Theatre, Berlin of 14.12.17. Atzmon did not say what kind of post he holds in Germany. I assume it is a wooden post as I cannot believe academic standards have fallen that low. 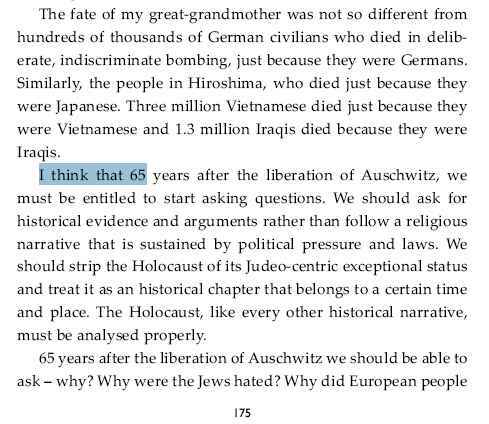 And at first sight it would appear that the passage below, from his book, is not a holocaust denial narrative, despite the suggestive passage that 'we must be entitled to ask questions' concerning Auschwitz. What questions I wonder? The original Truth History and Integrity - the part surrounded by a Black border was not integrated into the book The Wandering Who? 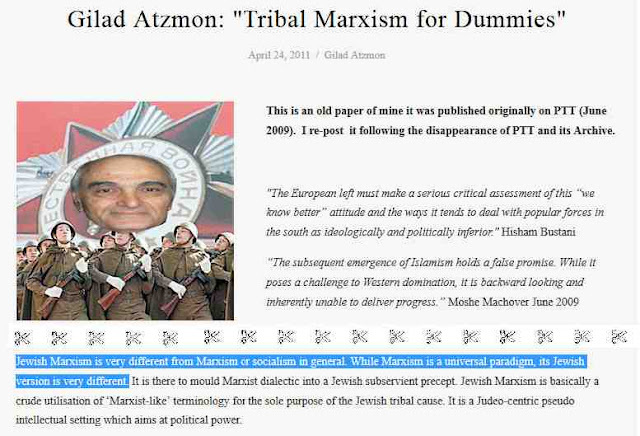 I have, over the past decade, posted numerous articles about Atzmon, an Israeli born Zionist who masquerades as a supporter of the Palestinians. This blog owes its formation to Atzmon. In June 2005 Atzmon was invited by the Socialist Workers Party to give a talk on Otto Weininger, a German Jewish fascist, at Bookmarx. It was said that Hitler had joked that ‘I only knew one good Jew and he killed himself’! Attending the talk was one Ian Donovan, now of Socialist Fight. After refusing our request to cancel the talk, Jews Against Zionism organised a successful picket of the meeting. We received the support of Professors Moshe Machover, Hilary and Stephen Rose – all of whom had made regular appearances till then at the SWP’s annual Marxism event. 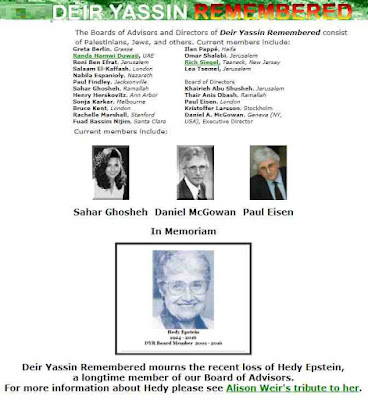 It was about two years previously that a group of anti-Semites, who professed to support the Palestinians, had gathered in a group called Deir Yassin Remembered [DYR]. 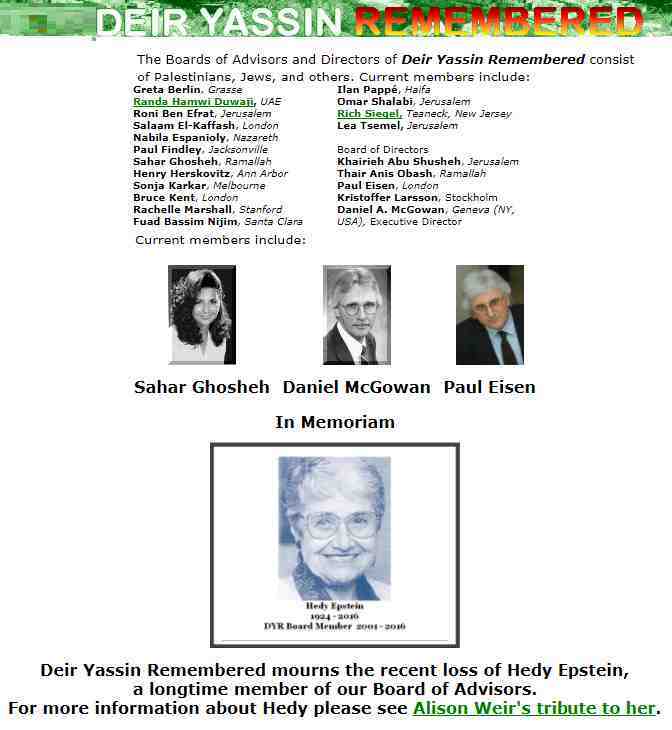 DYR had started off as a Palestine solidarity group which was committed to preserving the memory of the notorious massacre of the villagers of Deir Yassin in April 1948 by the Zionist terrorist groups Lehi and Irgun. What supporter of Palestine didn’t want to support such a group? It held annual concerts and the money helped pay for a scholarship for a Palestinian student. It was or so it seemed, a most worthy cause. DYR took in a number of otherwise wholly reputable individuals who sympathised with the Palestinians. MPs such as Jeremy Corbyn and Gerald Kaufman attended their concerts. It had the support of a number of anti-Zionist Israeli Jews such as Michel Warshawsky, Jeff Halper, Ilan Pappe and Lea Tsemel. However when the group decided to invite Israel Shamir onto its board people began to resign. Its British representative and Director was Paul Eisen, who later surfaced when false allegations of anti-Semitism were made against Jeremy Corbyn. Another go of Zionist propaganda. The camp was perceived as an internment facility, attended by the Red Cross ... If it were bombed, the internees would die – or as a result of the bombing, or due to starvation for the supplies would not arrive. Indeed, would Gilad advise to bomb Guantanamo? This idea of “bombing Auschwitz” makes sense only if one accepts the vision of “industrial extermination factory”, and it was formed only well after the war. 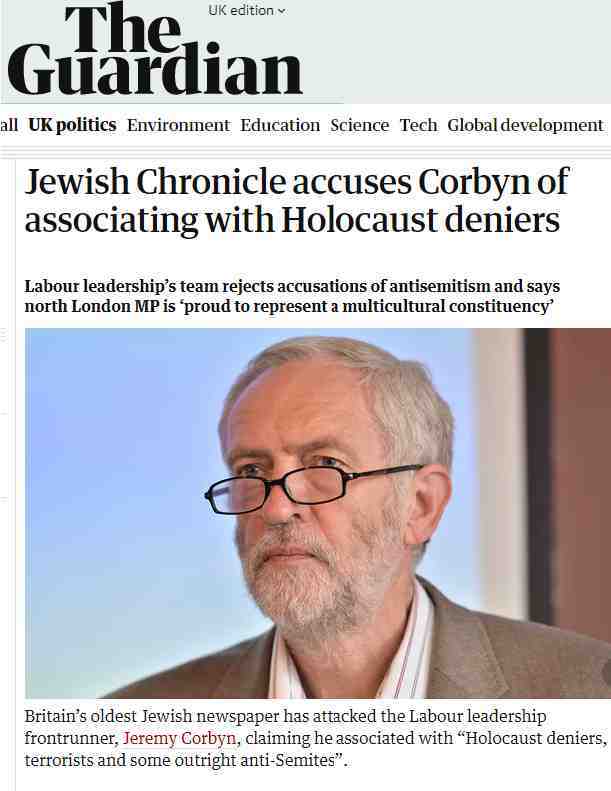 I first came into contact with Atzmon after he had penned an article ‘The Protocols of the Elders Of London, the name being a take on the famous anti-Semitic forgery the Protocols of the Elders of Zion. It attacks all those associated with Jews Against Zionism as ‘undercover Zionist agents’. 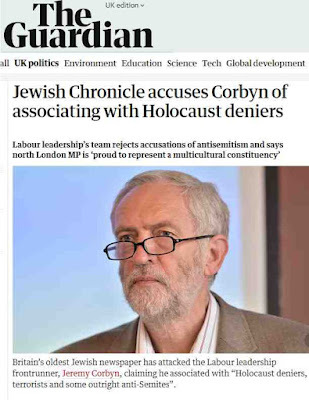 To Atzmon it is irrelevant if the Protocols are a forgery, because they are true, whereas for Hitler are ‘authentic’ precisely because they are true! A distinction without a difference. 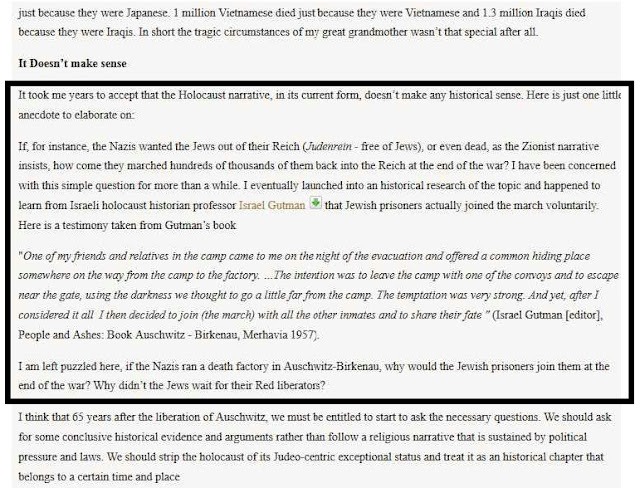 According to Atzmon I had falsely accused him of being a holocaust denier in ‘Truth, History and Integrity’ an article incorporated into his book, a book which was translated in German. So I decided to investigate whether what Atzmon said was true and I had been maligning this noble, truthful figure. I then went to my copy of Atzmon’s book ‘The Wandering Who’ and turned to page 175 and what did I discover? The first four paragraphs above had been omitted! If Truth, History and Integrity had been ‘integrated’ into his book Atzmon had taken care not to integrate the very paragraphs in which he cast doubt on the Holocaust! Presumably because, as he says, he didn’t want to get arrested in Germany.